The bond between parent and baby during the early months is often at the forefront of moms’ and dads’ minds. Before your baby is even born, parents-to-be are encouraged to start the baby bonding process. We are told to talk to baby in the womb, play classical music to soothe, massage our growing midsections with therapeutic oils, sing to and woo our developing little ones. These bonding tips only increase when baby arrives and the next phase of bonding must commence. Plenty of skin-to-skin contact, baby massage, co-sleeping, bath-time routines, storytelling – the list goes on. Often the way we are encouraged to bond with our babies runs counter to the advice parents are given to prioritize healthy living. Exercise and diet regimes galore are pushed on every expecting mother, but how to combine this with bonding with your newborn is a growing challenge. Enter baby-friendly yoga classes. Mother of two Rose Scott has initiated a new opportunity for parents to bond with their baby using movement and exercise. Rose describes herself as a positive and energetic yoga instructor, certified with Yoga Alliance 200RYT. 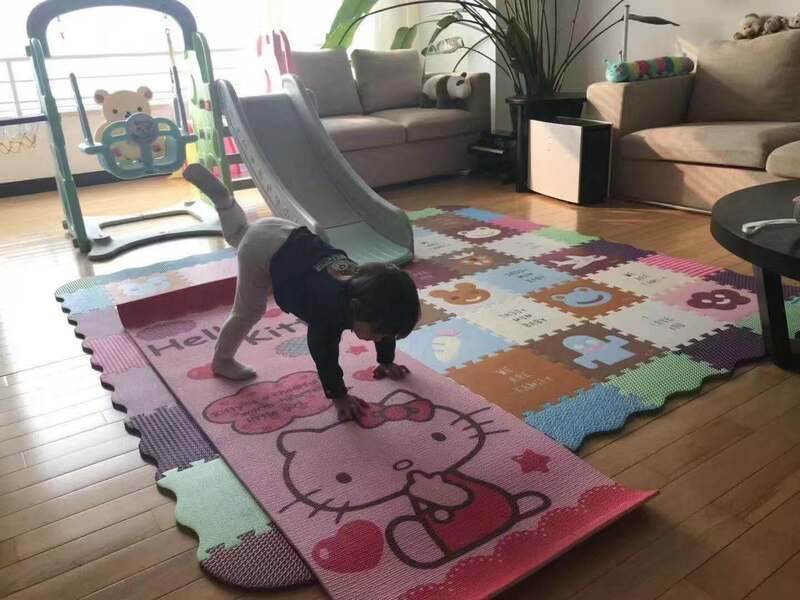 A Beijinger for the past three and a half years, with a son of four and a one-year-old daughter, Scott’s premise for her intimate Mommy and Me yoga classes is to promote bonding between parent and child through physical activity, while encouraging joy and health in movement. 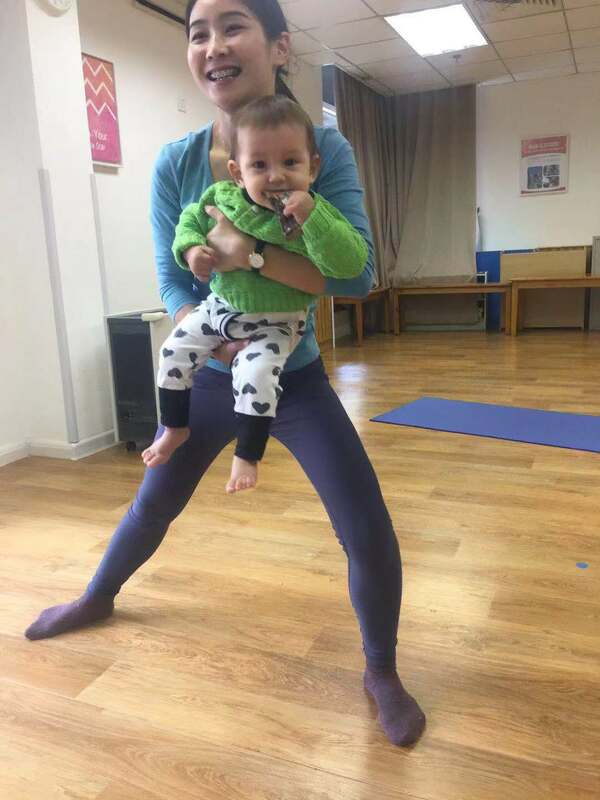 Lots of wonderful mommies in the city have been more than delighted with Rose’s classes, after giving them a go with their babies and little tots. Mom of 11-month-old baby boy Alex, Cecilia says that the Mommy and Me Yoga sessions are the highlights of her Tuesday mornings, “Every Tuesday morning is the most enjoyable time for me and my baby!” The classes, which are open to moms with children of all ages, are the perfect way for moms to enjoy movement with their kids, as well as a host of other benefits, “We can make new friends here, meet mommies from all over the world, share our stories – the little ones can also play with each other, it’s just perfect for full-time mommies!” added Cecilia. Mom of two-year-old daughter Valerie, Janine also can’t stop singing the praises of the Mommy and Me Yoga sessions, “My daughter Valerie always looks forward to joining the yoga classes – she even practices the yoga exercises at home before we join.” There seems to be a buzz in the air over the chance to join these wellness-focused and interactive yoga sessions. Why not reap the benefits of a decision that will provide continued bonding time between mom and baby and add an element of physical activity to your week? Downward Dog yourself into bonding time happiness and Child Pose into self-care and wellness for your child. Give Mommy and Me Yoga class a go. RMB 60 per class. Ivy Bilingual School, Sanyuanqiao. Every Tuesday. 9:45am – 10:30am. WeChat: rosier-scott.